Spring is one of my favorite seasons for so many reasons! Spring represents renewal, re-birth, potential and you can sort of smell it in the air before it arrives. There are birds chirping outside the window, the clocks have sprung ahead and I am days away from my birthday. Since this week has been all about travel, I thought I'd continue on that theme today, some of you have probably already started the advent of your Spring travel by visiting with family today for Easter. 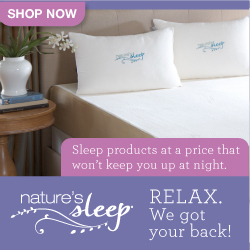 Planning for a road trip doesn't have to be daunting! But before you go down your checklist, you need to make sure the basics are in place and safety is of primary importance! Spring is the perfect time to have your car inspected, check the shocks, breaks and make sure your car is in shape first. You also need to account for the safety of your little ones and making sure you not only have a carseat, but that it is properly installed is crucial! 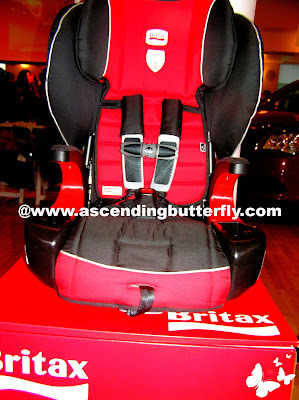 FRONTIER 90 Combination Harness-2-Booster Seat by BRITAX - offers leading Head Safety Technologies! 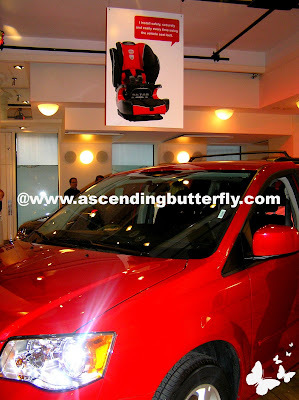 In case you missed it, we featured the newest carseats from BRITAX, the FRONTIER™ 90 and PINNACLE™ 90 and at the press event to announce the launch in New York City, they had vehicles on hand so we all could take a turn at installing the new carseats. I was surprised at just how simple, fast and easy the installation was, but was ven more impressed with seriously BRITAX takes child/infant safety. Getting a safe carseat installed and having your car inspected to check for it's readiness for a long road trip is a mission critical starting point, once that's in place you can then go down your checklist before letting that rubber hit the road. 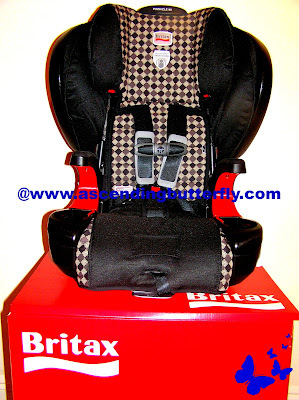 PINNACLE 90 Combination Harness-2-Booster Seat by BRITAX - The Side Impact Cushion Technology makes this a winner! Getting your vehicle inspected and making sure your carseat is properly installed is half the battle won for your Spring Road Trips! (1) Get your car inspected - a well planned road trip is to no avail if your vehicle is not up for the task! (2) Make sure your carseats are properly installed - I can tell you that with the new BRITAX Frontier 90 (Combination Harness-2 Booster Seat) and Pinnacle 90 (Combination Harness-2 Booster Seat), installation is a breeze! (4) Music - I wouldn't be 'The Official #TwitterPartyDJ' if my mind weren't always on Music and Tunes! The best parts of our lives can usually be accompanied by a song that instantly transports you back to that time. Make a road trip playlist that includes a little bit of something for everyone! And I personally also suggest letting everyone have their own portable players, so everyone has the chance to just zone out with their personal favorites for a little while. (5) Camera - Chronicle your journey in pictures, the more candid and the more goofy, the better, but don't spend so much time behind the lens that you forget to enjoy yourself, and don't forget to ask someone to take a group photo, especially if you are usually the one to take all the pictures, because then you'll get home and find that you are not in any of the pictures! (6) Cell Phone - For emergency use only! NOT for keeping up with work, enjoy your journey! But bringing one along in case of emergency is always a smart idea. (7) Emergency Kit/First Aid Kit - You want to make sure you carry gauze, bandages, antibiotic cream, allergy and sinus medication, and all over the counter and prescription medications that all family members take. Be sure you have water, blankets, flashlight (there are flashlight apps for the ipod/ipad/iphone by the way), batteries, canned food, road flares, spare tire and a car jack! (8) Budget - Plan for all your gas stops along the way, hotel expenses, entrance fees to parks, and bring along a Credit Card for emergencies! (9) Clothing - Bring extra layers in anticipation of cooler nights! (10) Footwear - Bring comfortable footwear, and bring all terrain or sport or hiking boots if mountains are part of your road trip journey! Butterflies, where will the road take YOU this Spring?